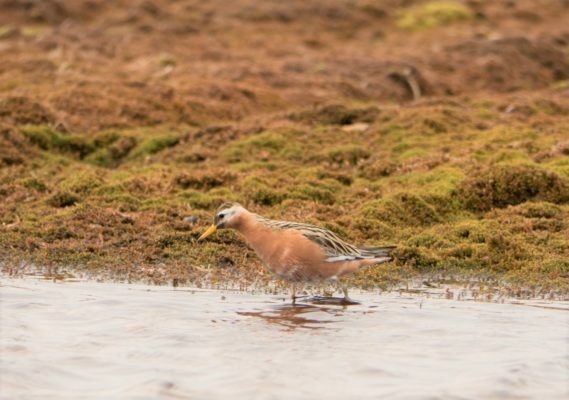 Are you wondering what the spring thaw means for the wildlife in the Arctic? What happens to a polar bear in spring? When is the annual whale migration of whales? Join us, as we explore what the spring means for Arctic wildlife. 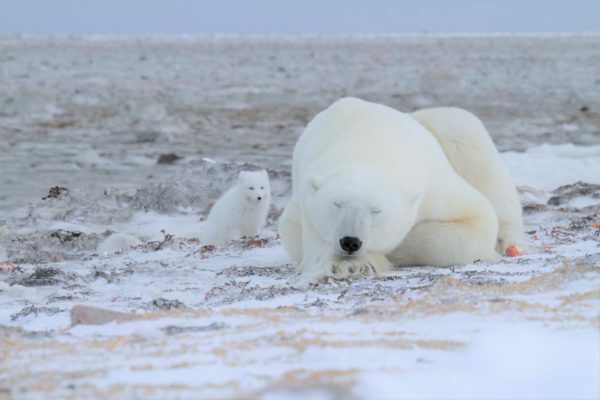 For male polar bears and those without cubs, the coming of spring means that they will soon lose their hunting platform as the frozen sea-ice begins to melt. 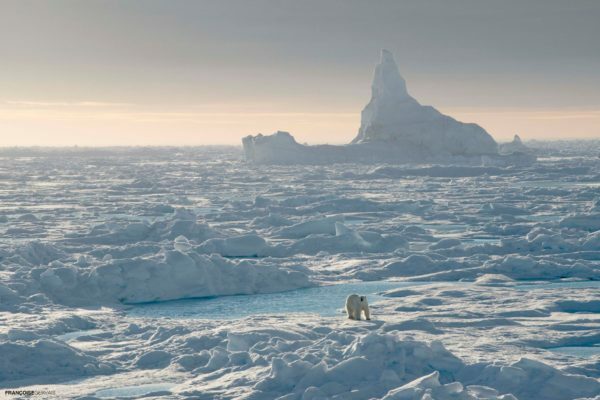 Polar bears do the majority of their hunting when the sea-ice freezes between the islands of this area making the whole of the Arctic theirs to roam. But as winter turns to spring, the polar bears stop relying on prey like seals from the airholes they return to or when the seals den and begin using the open water to hunt. And this is the time in late March and April that mother polar bears will emerge from their dens with their newborn cubs. Mother polar bears may have been nursing their cubs for four to five months without themselves eating. 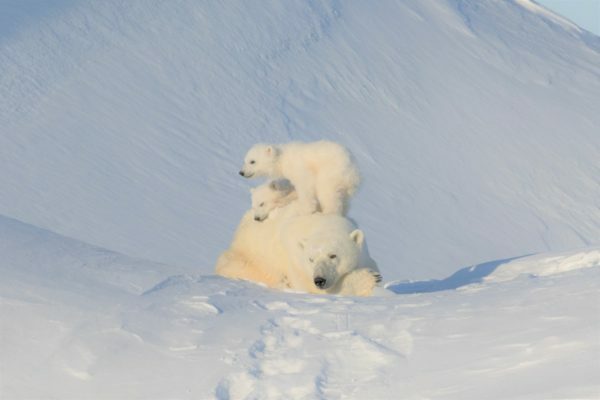 They come down from their nursing dens in the hills and take their cubs to the spring sea-ice before it melts. Baby cubs will often spend their days mimicking their mothers and playing with their siblings. These cubs will play in order to develop muscle and build coordination. This playing may help them learn to hunt but can also sometimes ends up distracting a hunting mother. 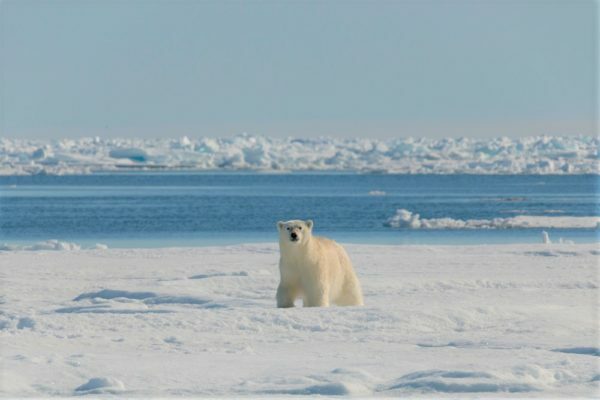 Polar bears will come to the floe edge in the spring looking for migrating whales at the place where the frozen sea-ice meets the open ocean, limiting the polar bears’ domain. Consider, the Arctic is a frozen ocean that is surrounded by continents and archipelagos. But this seasonal thaw triggers an ecosystem of life that is truly phenomenal as different animals migrate to the Arctic from all over the world. 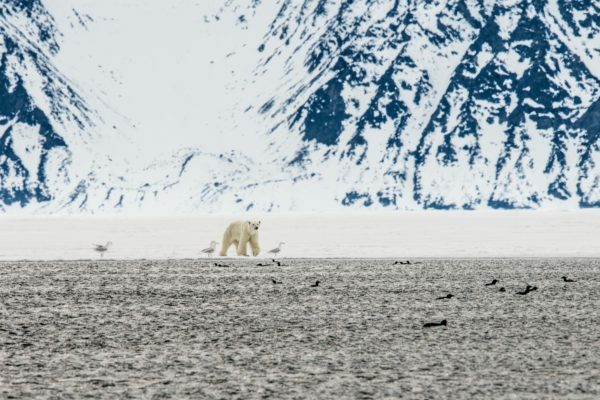 Want to see polar bears in the spring? 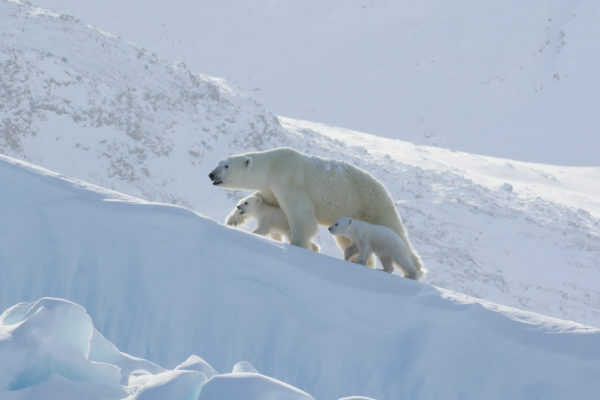 Explore our Spring Polar Bears & Icebergs of Baffin Safari, and Polar Bear Mother & Newborn Cubs Safari. 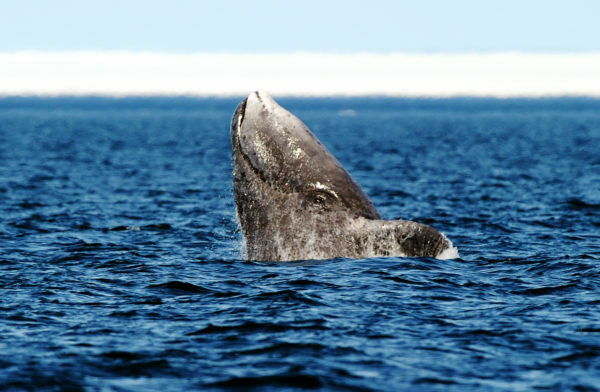 The thaw of the Arctic sea-ice opens up a wonderland of archipelago islands and bays that draw whales back to each year. 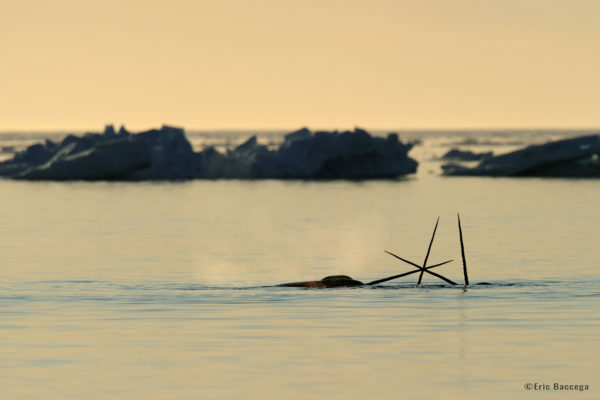 By late May and through June and July, the cracking of the sea-ice opens canals and leads that whales, like narwhal and beluga, can use to reach the shallow bays where they find arctic cod, their favourite food. Mothers and newborn whale calves tend to migrate sooner as they need the nourishment of the fish in their summer feeding grounds. Males will come throughout the spring as they lead early pods or linger offshore and socialize in late spring. Belugas and narwhal also use these freshly available estuaries to do their annual practice of molting, where they exfoliate their outer coat layer, so they are fresh for summer. They will migration in hundreds, sometimes even thousands, as they spend weeks socializing and use the rocks of the shallows to freshen up. 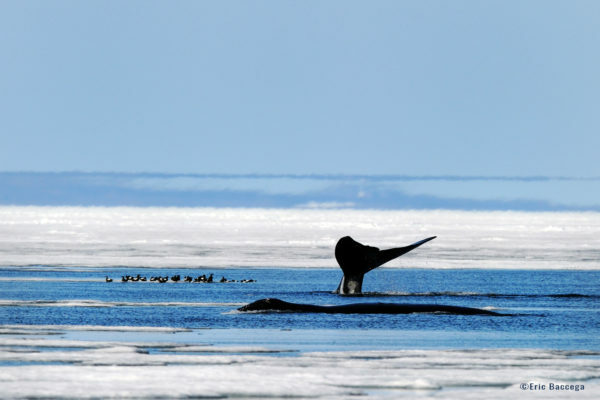 The cracks in the sea-ice are good news for bowhead whales too, which are the only large whale to spend the whole year in the Arctic. They use their head to crack thin ice and constant movement of bubbles from breathing to maintain airholes in the ice. Remaining under the sea-ice keeps them away from orcas, which because of their dorsal fin have trouble using small breathing holes and so stay out in open water. As the ice shelf breaks off, sunrays reach new parts of the ice that stimulates a photosynthesis cycle that energizes algae off the bottom of the sea ice. The algae bring large amounts of krill, the favourite food of a bowhead, which fasts throughout most of the winter. This makes spring one of the best times for bowhead as they feed in large amounts. Interest in seeing the annual whale migration? 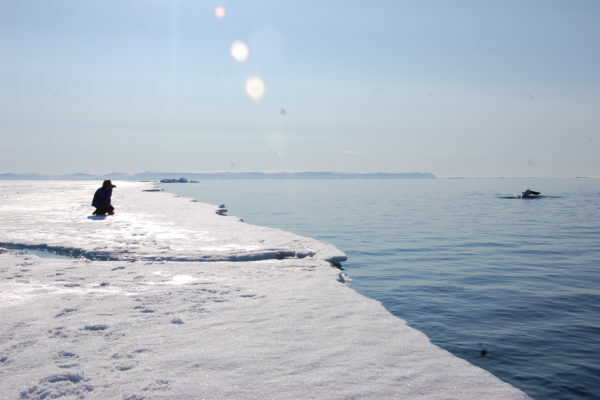 Explore Narwhal & Polar Bear Safari. These fluffy tundra scavengers welcome the emerging spring. 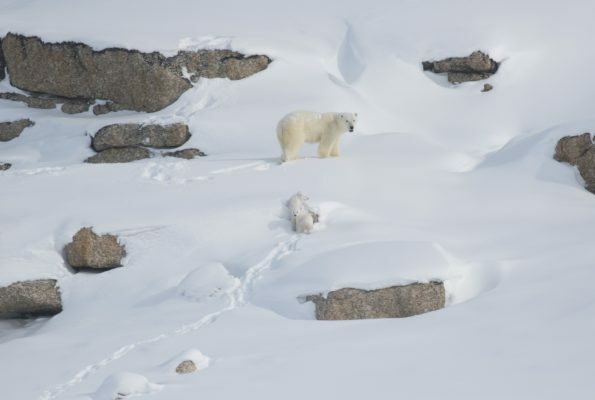 In winter and early spring, they are entirely dependent on polar bear leftovers, due to a lack of resources from the frozen tundra, and so are known to follow polar bear prints in the snow for days. But the spring thaw means that Arctic fox can hunt on their own for the smaller game that becomes available. This is fortunate as new litters of newborn cubs are born around this time. 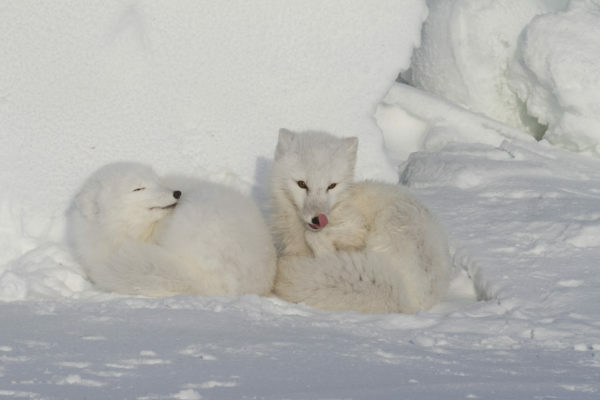 Arctic foxes are monogamous so they care for each litter together. As the tundra floral comes to life their white coats no longer camouflage them so they shed this shiny coat for a new darker shade that helps among the rocks. 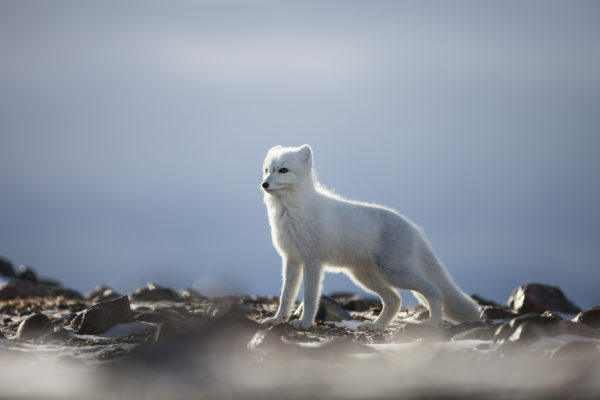 Arctic fox on your bucket list? 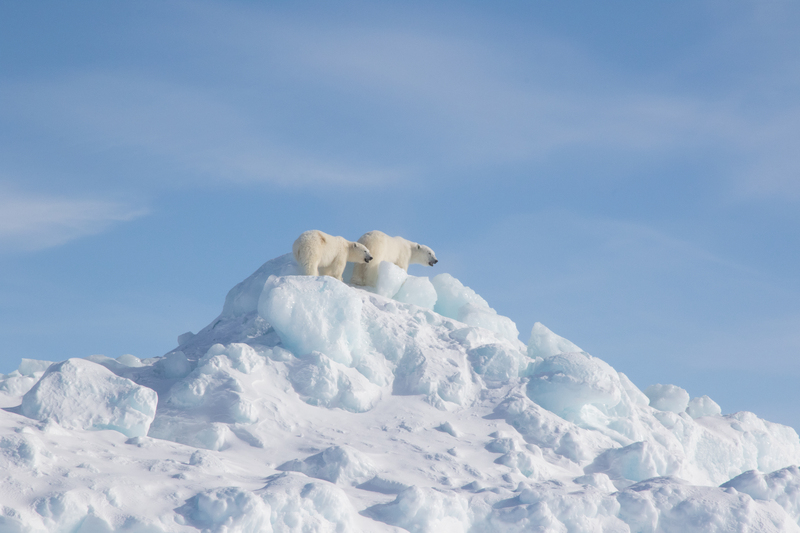 Explore Polar Bear Migration Fly-In Safari, and Nanuvik Polar Bear Cabin Migration Safari. 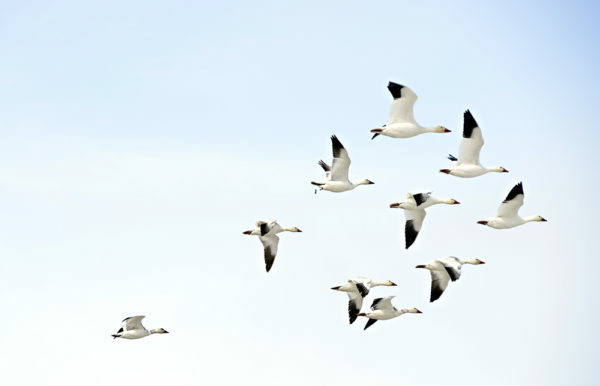 Each year thousands of birds migrate across this planet back to the Arctic, in fact, 200 species of birds migrate to the Arctic. They come because it is rich with resources and has few predators. So the summertime, with its long days and open water with plenty of fish, it makes the ideal place to spend summers and nest. 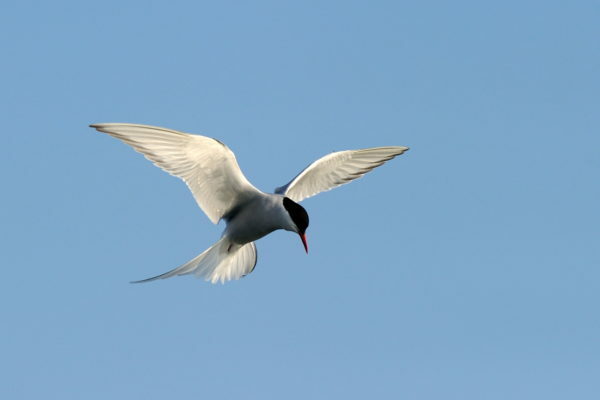 Arctic terns have the record for the longest migration each year of 40,230 km (3,000 mi). 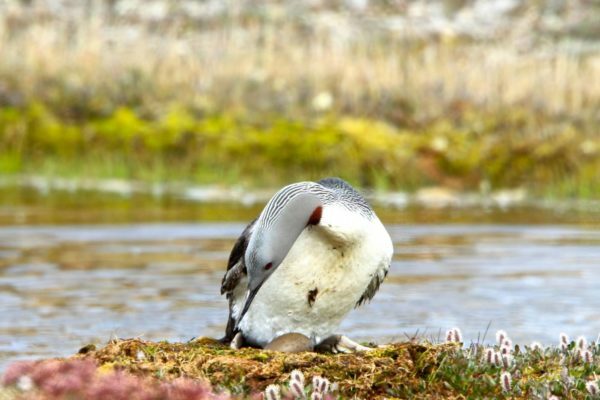 They migrate from pole to pole enjoying the summer in Antarctica before coming all the way up for an Arctic summer. Red knots also travel a great distance from South America. Incredibly, you can find roughly 90% of the entire population along the shores of the Delaware Bay all together for at least one day, as a staging platform before the final push in their migration to the Arctic. And what would the Arctic be without the iconic Snow Goose? Their pink bills have a black lip-like outline which gives the appearance that they’re grinning. In fact, Sirmilik National Park is an enormous Migratory Bird Sanctuary for birds returning each summer. Watch as they return to the cliffs of Bylot Island by the thousands. 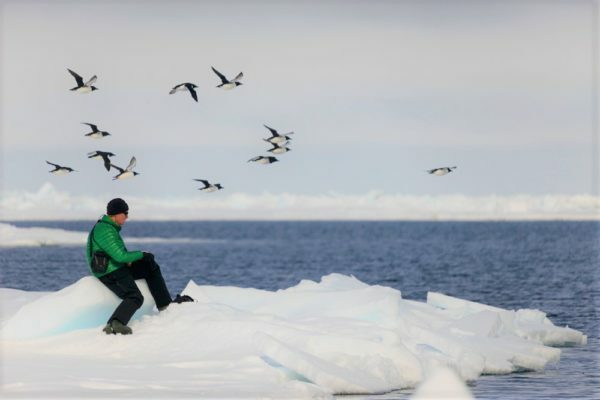 Experience the return of migrating birds on Narwhal & Polar Bear Safari, and Polar Bear & Glaciers of Baffin Island. Are you still curious about the many wonders of the Arctic or looking for more interesting content then explore more blogs here!